Master Web Design with 6 Courses starting from ios app design, Game design graphics design and more. The Beginners Guide To Designing Mobile Game Art from scratch. No experience needed- Become a Pro Mobile Game Designer! The Beginners Guide To Designing iOS 8 Mobile Apps from scratch. No experience needed- Become a Pro Mobile App Designer! The Beginners Guide to designing and creating Vector Graphics with Inkscape. No Experience needed! The Beginners Guide To Designing Mobile Apps with Sketch 3. 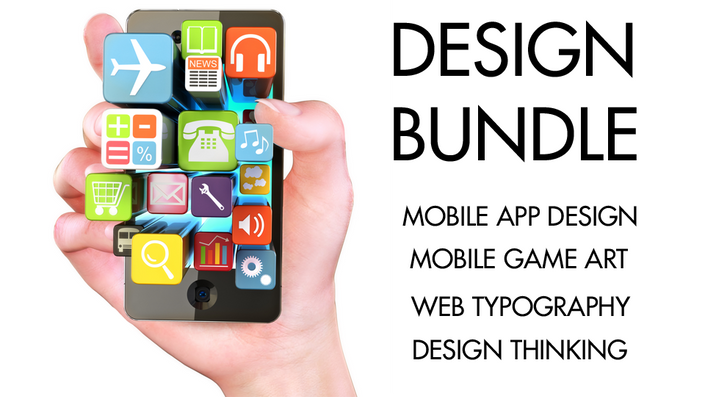 No experience needed- Design Mobile Apps from scratch! The Beginners Guide To Designing Beautiful websites using Web Typography with HTML and CSS - No Experience needed!